Trees add visual appeal to your property. They provide shade and shelter for you, as well as animals such as birds and squirrels. The variety of species available means you will always have a wide selection of textures and colours to choose from. When it comes time to purchase a tree, choosing the right size is essential. Selecting the right type of tree isn’t as easy as just looking for one you like. You will need to know some information about the tree itself, such as what it needs to grow, the features it provides your home, and how you can best take care of it. Opt for a tree that has a complementary shape to the rest of your landscape design. Be sure to place your tree in a good spot where it will not be impacted by future events. 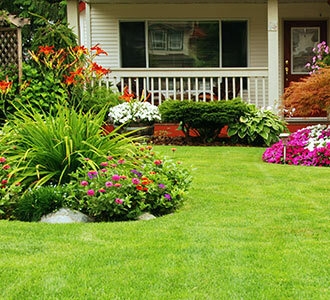 For example, if you plan on putting in a pool, do not place a tree in the area that will be dug up. The size your tree is when you purchase it isn’t always the size it will be when it matures. Be sure to do your research. Saplings may cost less, but they have significantly less impact than more mature trees. You also need to be aware of the growth and root expansion so as to not plant too close to structures. The caliper of your tree (the diameter of the trunk measured from 6 inches above the base) is a good indication of how long it will take for that tree to establish itself on your property. A tree with a 5-inch caliper will take approximately five years, while a 1-inch caliper tree will establish in about one year. Plants go through two phases when they’re moved to a new location. Phase one is the acclimation phase. The plant is getting over the stress and shock of moving. Phase two is the establishment phase. The plant begins to settle and has enough roots in its new location to start growing normally. Price will vary depending on the size of the tree. A tree with a higher caliper will often be more expensive than a smaller tree. Consider how much money you wish to spend initially. The impact of the tree on your landscape will differ by size. A larger tree has more presence than a smaller tree, but they can both be grown to larger sizes. Think about whether you want the impact now, or if you’re patient enough to wait. Your ability to move the tree is important. Larger trees are heavier, and as such aren’t often able to be picked up by hand and moved to where you want them without the use of a machine. If you’re planting the tree yourself, consider a smaller caliper. If you have a professional company doing it for you, then larger calipers are more feasible. 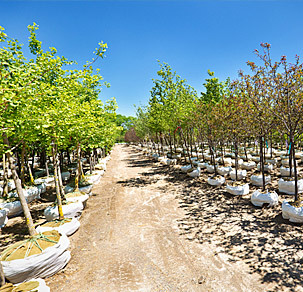 When selecting a tree for your landscape, hiring a professional team such as the experts at Greenbloom can make the process easier by providing advice and planting services. Contact us at 647-500-5263 for more information, or to schedule a planting.